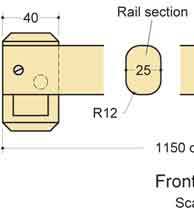 This curtain rail has been designed to hold a curtain across a front door, although it could, of course, also be used across a small window, depending on your requirements. 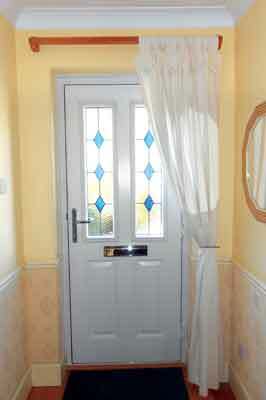 The curtain I have used has fabric loops, so there is no requirement for curtain rings. 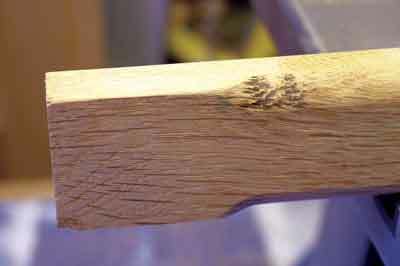 The rail uses a 1,150mm length of 35 x 25mm oak (Quercus robur), and two 70 x 40 x 40mm end-support pieces. 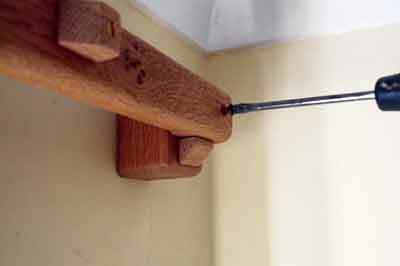 There are added rail-support pieces attached to each end-support piece, while screws at each end of the rail hold it securely in place. 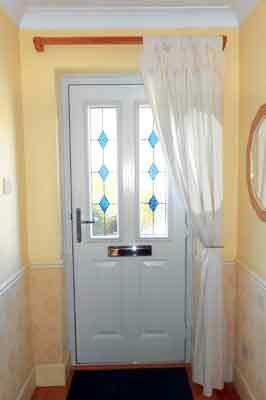 This allows for easy curtain fitting. 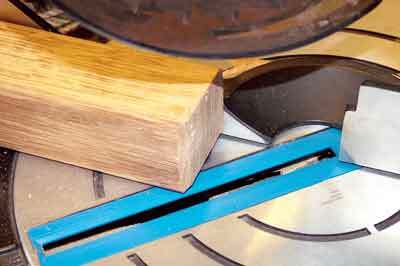 Two coats of a clear acrylic varnish are applied after the components have been cut to size. 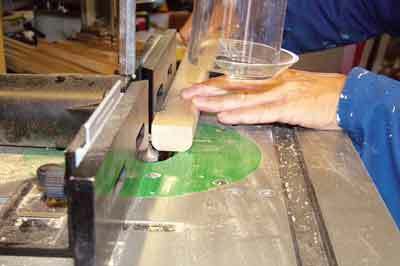 Prepare the rail by cutting to length then cutting a 12mm roundover along each front edge. Cut the 12mm roundover selectively along the rear edge so that the end 40mm is left square. This will be the section that joins onto the end-support pieces. 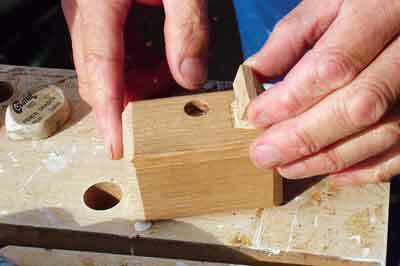 Cut the end-support pieces to size, and chamfer the end edges. 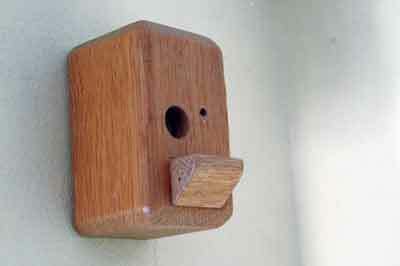 Next, drill a hole for the screw, and counter bore to sink the screw head. 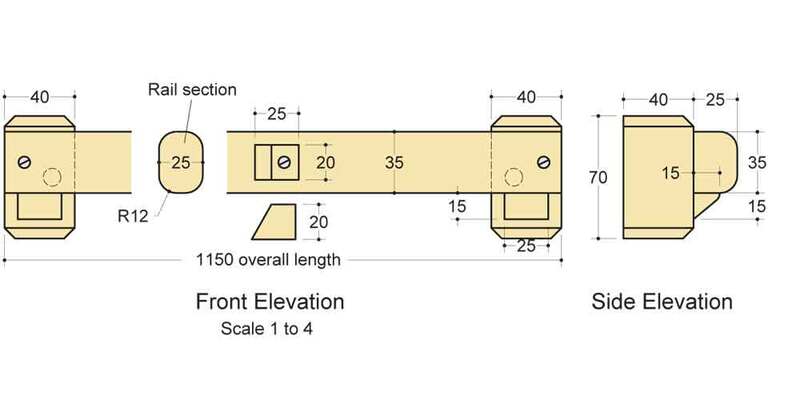 Attach a rail-support piece to each end-support piece using adhesive. Mark the positions for each end-support piece on the wall. 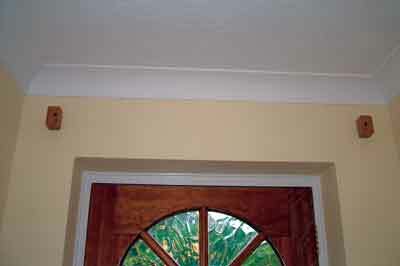 It is essential that your end-support pieces are straight and level, so check this with a spirit level. 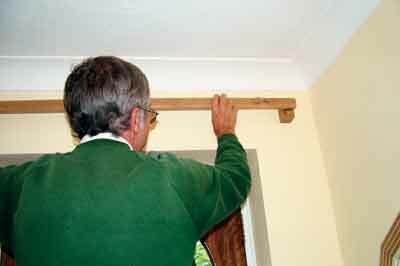 Drill into the wall to take the wall plugs. 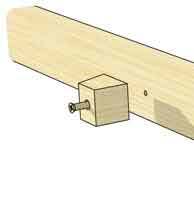 Then, attach each end piece to the wall using a screw. The end-support blocks are separated so that the distance from the outer edges equals the length of the rail. Now rest the rail on the rail-support pieces. 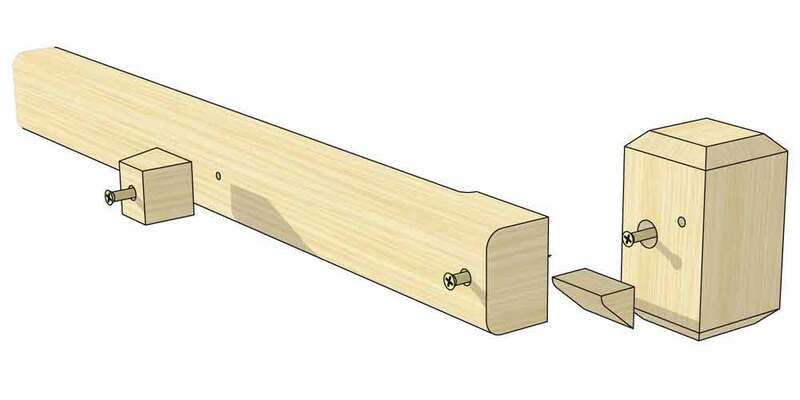 Use a screw to attach the rail to the end-support pieces. 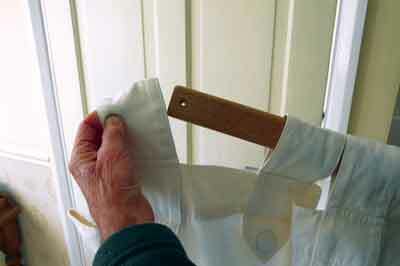 Add a small limiter block to prevent the last loop of the curtain from sliding off the end. 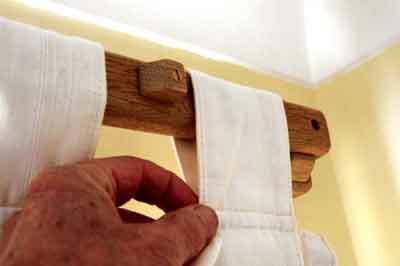 Remove the rail and feed the loops of the curtain onto the rail. Lift the rail, and rest it onto the rail support pieces, then use screws to fix into place. It is important to ensure that the last loop is held in place by the limiter block. 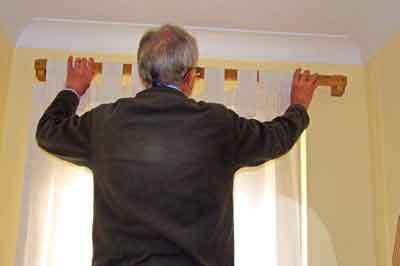 The curtain can be held back using a curtain retainer. Your best bet is to buy a curtain that comes with a matching retainer.